Face Wipes Vs. Cleansers - Which Is The Right Choice For You? Face Wipes Vs. Cleansers – Which Is The Right Choice For You? When it comes to cleansing the skin, you must follow different techniques for different parts of your body. 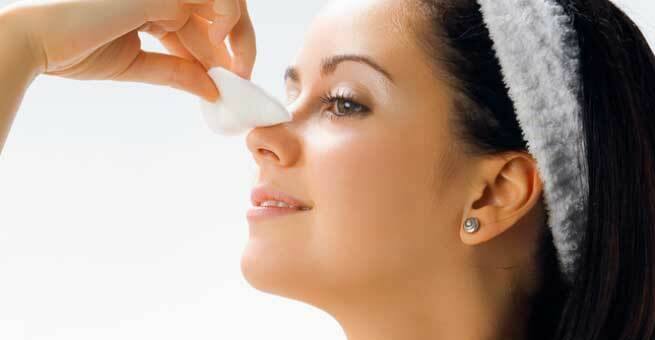 The delicate skin of your face always needs some extra love and care in terms of cleansing. Hence, it is crucial to choose the right product in order to get rid of dirt and grime off your face. Facial cleansers and face wipes are two most popular facial cleansing products used by girls and women across the world. But which one of these two is better for your skin if you need to use daily? What information should you know about them? How to use them correctly in order to make the most of the products? Well, we have got you covered. This is a comparative guide to let you know who wins the facial wipes vs. cleansers battle. Keep reading. What is the idea behind face wipes and cleansers? Cleansing the skin. Simple! Every girl knows that the secret to a blemish-free, flawless skin is a good and effective cleansing routine. It is not that you need to clean your skin just to wipe off your makeup. Even when you have not applied makeup, your skin is constantly releasing oil which can lead to pimples and acne breakouts. Whether you use a facial cleanser or a face wipe or any other cleansing product available in the market, such as face wash, cream cleanser, face scrub, micellar water, etc., the basic function is the same i.e. making your skin squeaky clean. All of these contain certain types of ‘surfactant’ as cleansing agents so that your skin becomes clean and stays blemish-free. 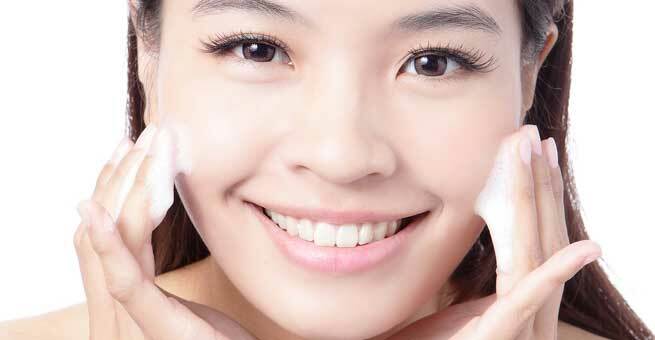 At the same time, cleansing products also ensure that the delicate pH balance of the skin is maintained. Face wipes are pre-packaged cleansing wipes, which come individually wrapped or in one large, resealable container. These handy ‘soap-soaked disposable clothes’ are available as ‘dry wipes’ (need a little water to create foam during use) and ‘wet wipes’ (pre-moistened clothes that require no water or rinse) for the convenience of users. You can find a wide variety of face wipes in the market from a number of brands, which even come with various materials, different textures, and skin-nourishing ingredients. If you are looking for a low-cost, easy to use, and travel-friendly facial cleansing product, face wipes are always there. Your chosen face wipe should suit your skin type to provide the best results. Make sure that it does not contain artificial ingredients, dyes, alcohols, perfumes, etc. Cleansers are the ‘conventional choice’ for achieving a clean skin. They are available in a whole lot of variety based on the types of skin (dry, oily, normal, combination, sensitive, acne-prone, etc.) as well as the needs or woes of skin (exfoliating, antibacterial, mild/gentle, etc.). It even comes in different forms, such as gel-based, water-based, cream-based etc. While regular facial cleansers work by eliminating excess oil, dirt, and makeup from the outermost layer of the skin, advanced ones have stronger formulae to go even the extra miles. If you are happy to put that additional effort in rinsing and washing your face, cleansers are for you. Always find the right cleanser based on the type of your skin. Try to avoid products with harsh chemicals (like sulfates) as they will dry out your skin by stripping of its natural oils. Face wipes are ‘cleansers with lower levels of surfactants’. The cleansing agents present in facial wipes are weaker in strength, which essentially means that they follow a milder method of cleansing. Cleansers are meant for deep cleansing of the skin including its pores. The cleansing agents present in them are much stronger and can draw impurities out of the skin efficiently, thereby giving you a squeaky clean appearance. Sometimes, face wipes cause redness, irritation, and/or itching due to the presence of unfavorable ingredients (parabens, propylene glycol, dipropylene glycol, 2-Bromo-2-Nitropropane-1, 3-dio, phenoxyethanol) in them. Their unhygienic packaging (a perfect breeding ground for bacteria) and the lack of a water rinse after use (soap suds are left on the skin) can also result in such skin issues. If chosen wisely, cleansers can cleanse the skin deeply without causing any kind of irritation or redness. Certain cleansers have completely natural ingredients to take care of your skin while making it clean. Cream-based ones can even moisturize as well as condition the skin well. Face wipes are super handy and easy to use. They make life easier by working as a quick-fix and saving time. You can keep it in your purse or bag for using anywhere, anytime. Cleansers need water along with some extra effort, but it may not be a suitable option always. So which one has to be your pick? Well, the answer is pretty clear from the above comparison. 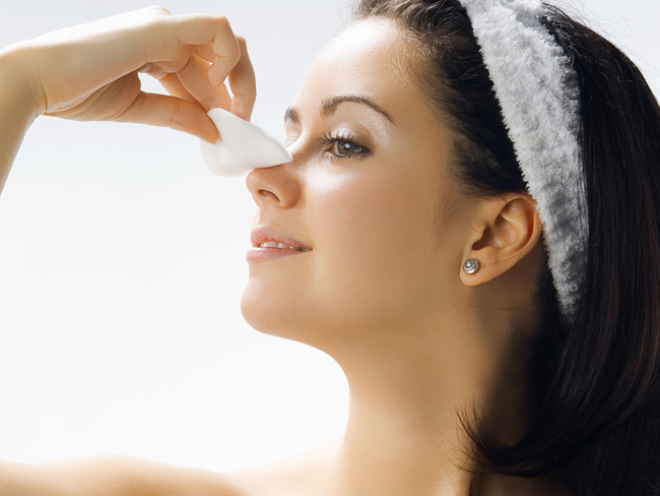 Face wipes are undoubtedly more convenient, but cleansers are definitely a better pick. When a perfectly cleansed skin is the priority, cleansers should never ever be replaced with face wipes. However, if you have no choice rather than using wipes, make sure that it is not the last step in your routine. At least, wash your face with water right after using it to ensure that there is no chemical residue on your skin. It is even better to team them up. Wipe your face gently with your favorite wipe to get rid of the oil, grime, and makeup, rinse with a mild cleanser to cleanse it deeply, and wash thoroughly with lukewarm water to reveal a flawless skin. That’s all you need in your life, isn’t it?